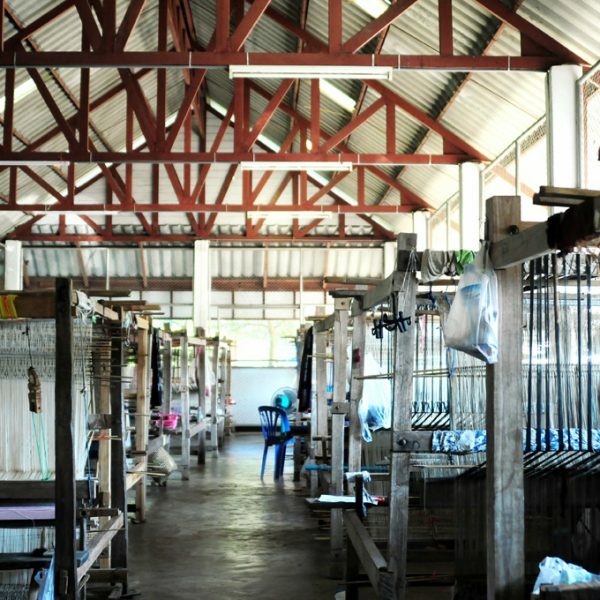 Ban Sao Luang is a community enterprise located in a village in Nan province in Northern Thailand. 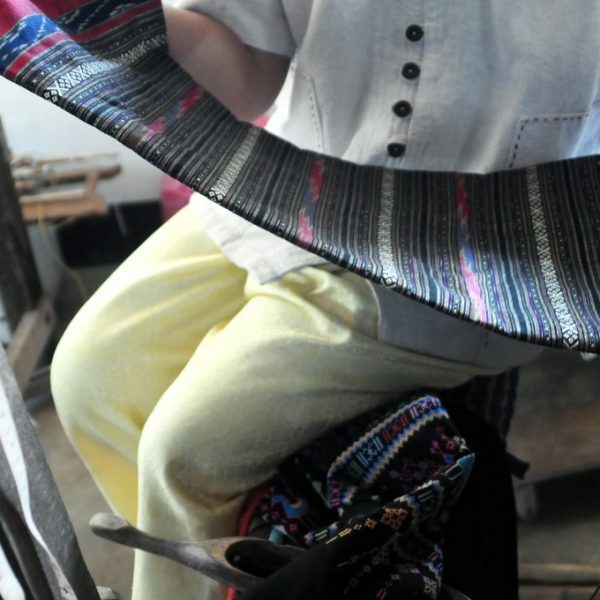 The weaving group, which counts about forty members, started in 1984 and mostly produces textiles in the Tai Yuan and Tai Lue ethnic group styles. 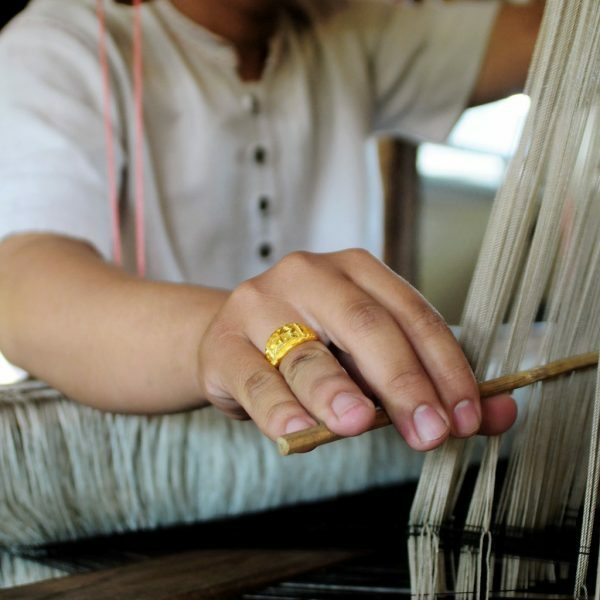 In the beginning the artisans mostly worked with handspun cotton and natural dyes. 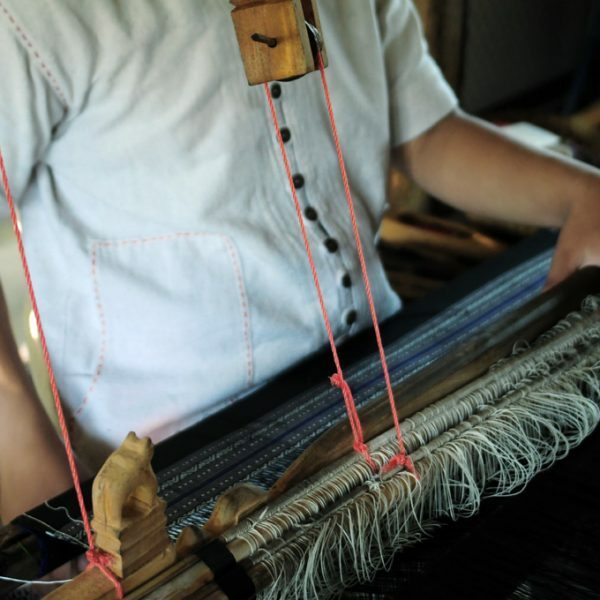 The increasing demand for bright saturated fabrics and the easy access to machine-spun yarn deeply changed the weavers’ practice. The cooperative is well organized. 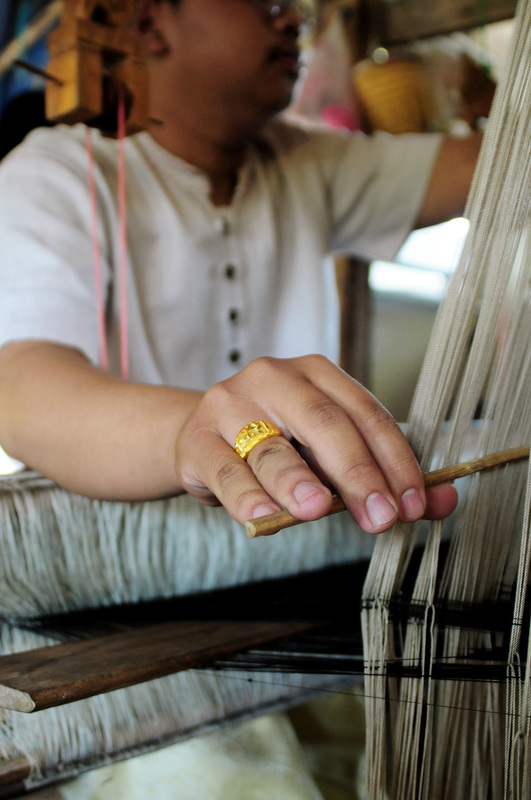 Looms belong to the group and artisans only have to pay for raw materials. 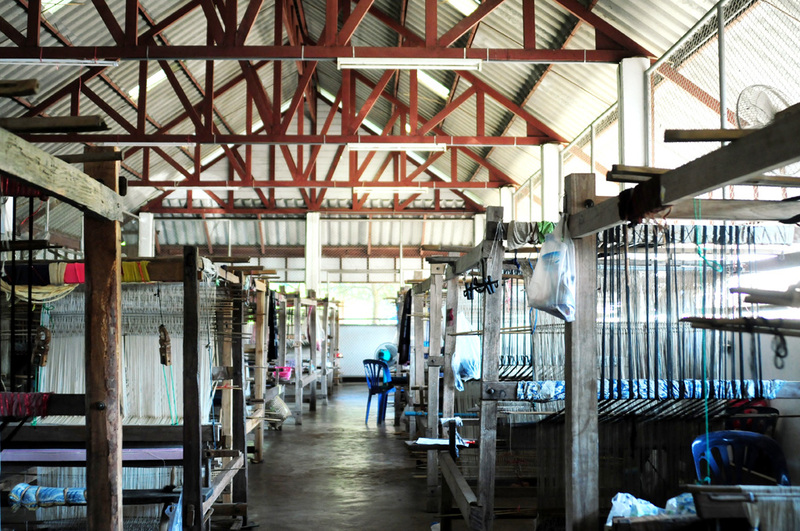 Each member invests 120 baht (5 dollars) a year in the fund which has now reached 70,000 baht (about 2000 dollars). It is used to make various investments for the community. 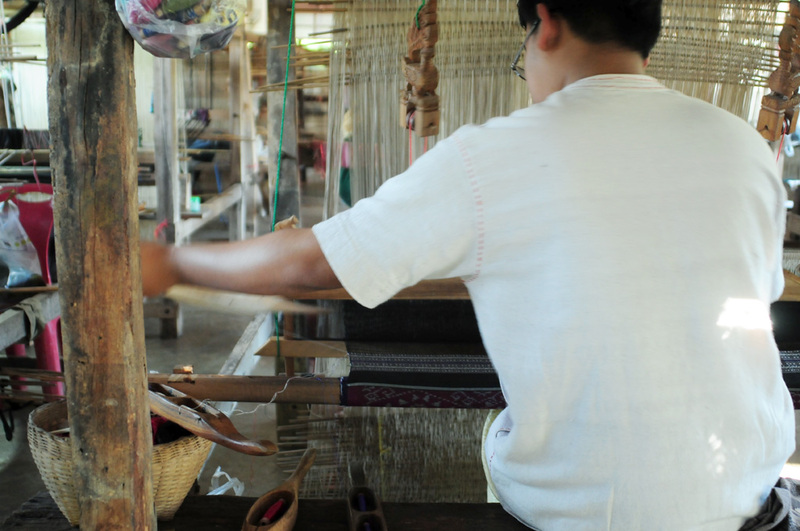 Ban Sao Luang is also committed in educational programs that encourage students from the local school to learn weaving. 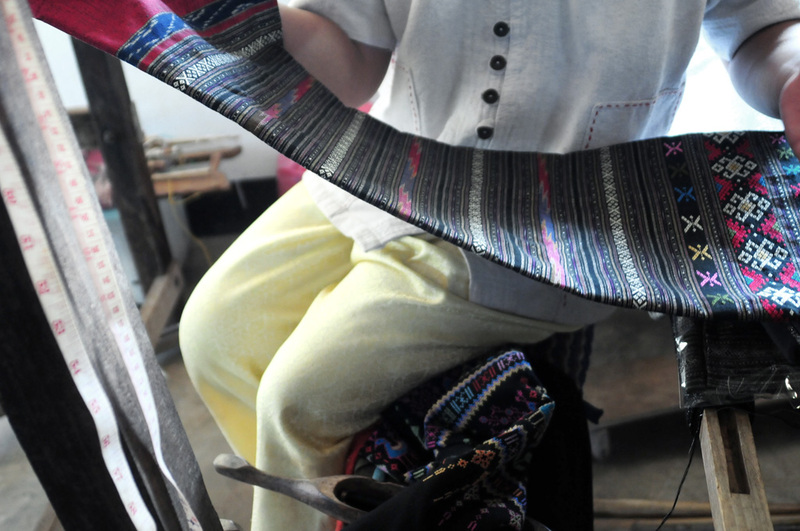 Children start at a very young age, around 7 years old, with simple weaving structures such as tabby and then produce their first scarves and shawls. Weavers come early in the morning to work at the workshop. Within the community, the young passionate Korrakod Pangjai, who goes by the nickname of “Dream,” stands out. 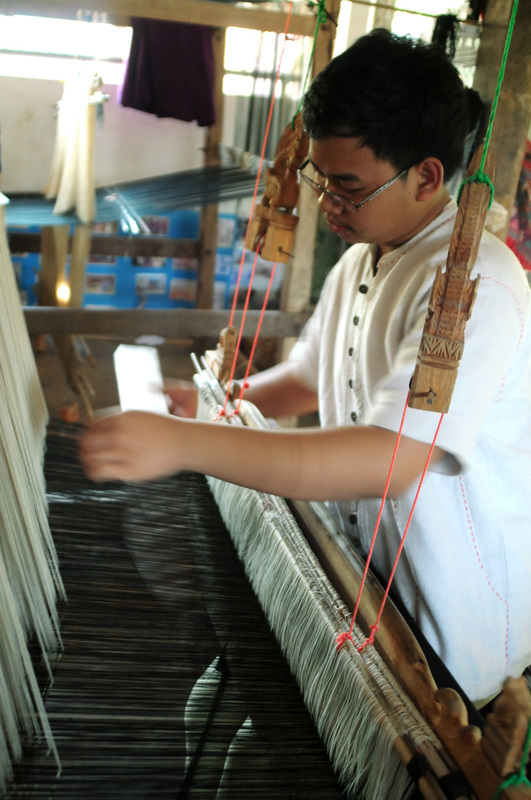 Weaving is usually a female practice in Thailand, and yet this young man who has just turned 18 has been practicing since childhood. 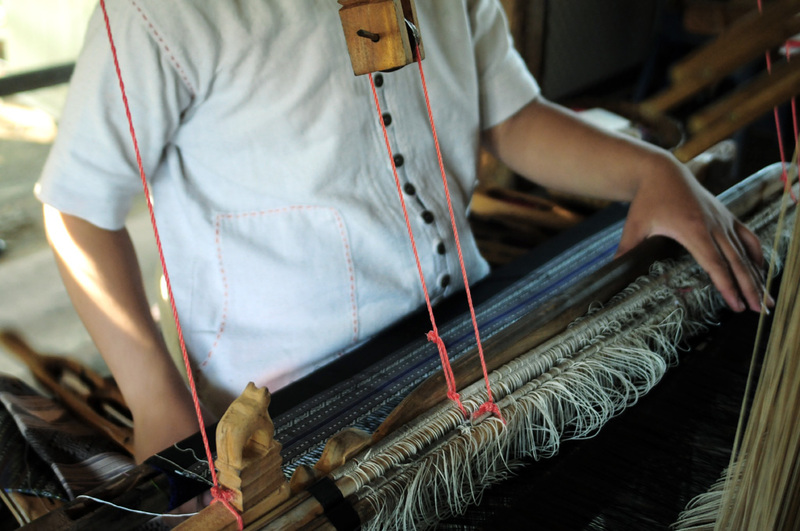 He was born in Nan as an only child raised by his aunt, a skilled weaver who taught him all of her knowledge. Dream belongs to the Tai Yuan ethnic group which is dominant in Nan province. 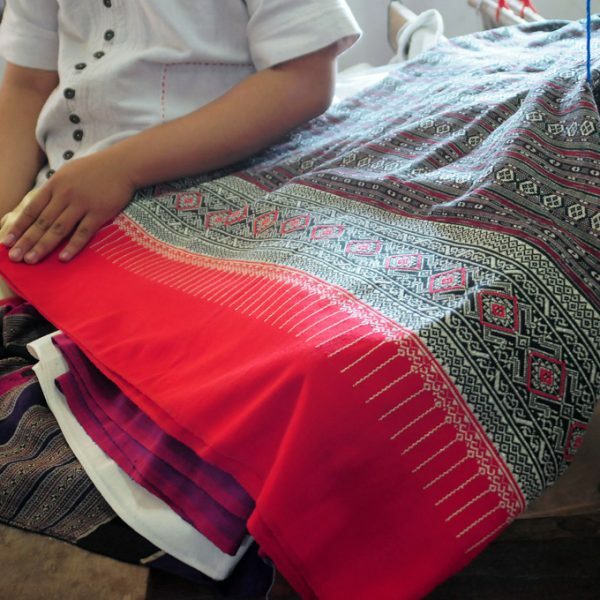 However in his designs he also includes techniques and motifs from the Tai Lue tribe, another group in the region. 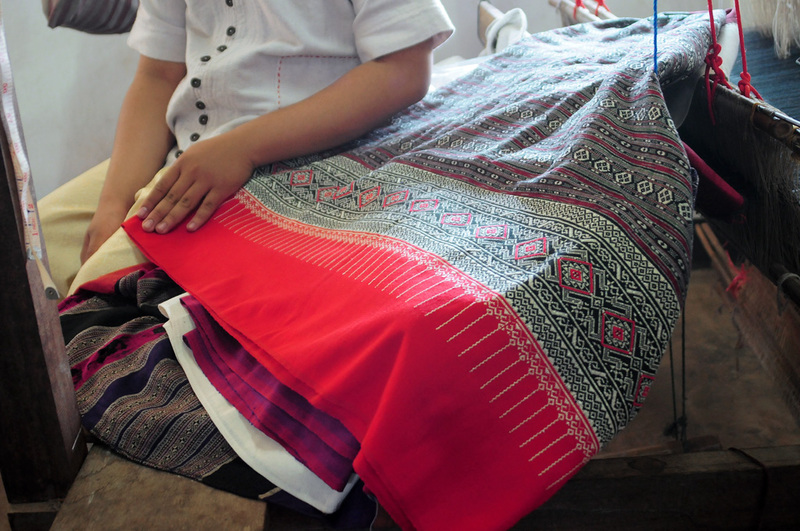 In Northern Thailand, textile styles are defined by the village and the area more than by the ethnic group. 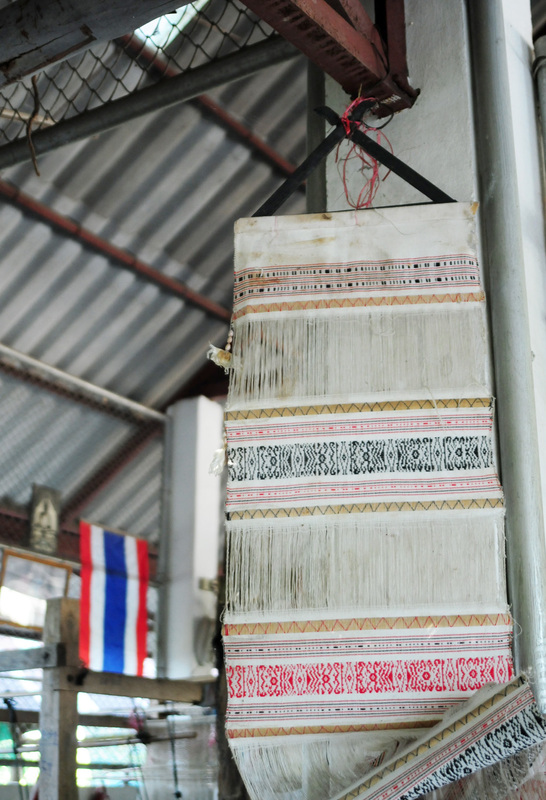 Nan local people are fond of bright colorful tube skirts with stripes of metal threads in gold and silver. Dream thus often mix natural dyes with chemical ones, silk with cotton. 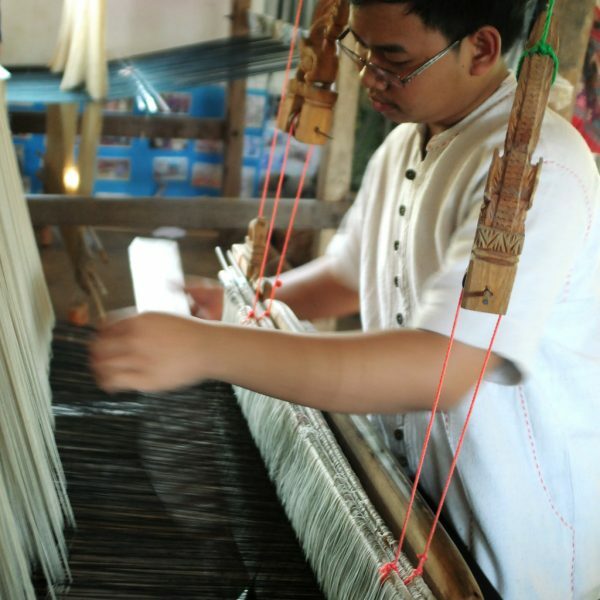 He likes to play with different techniques and develop new designs that mix the brocaded technique called khit with the two-tone ikat technique called mud kan. 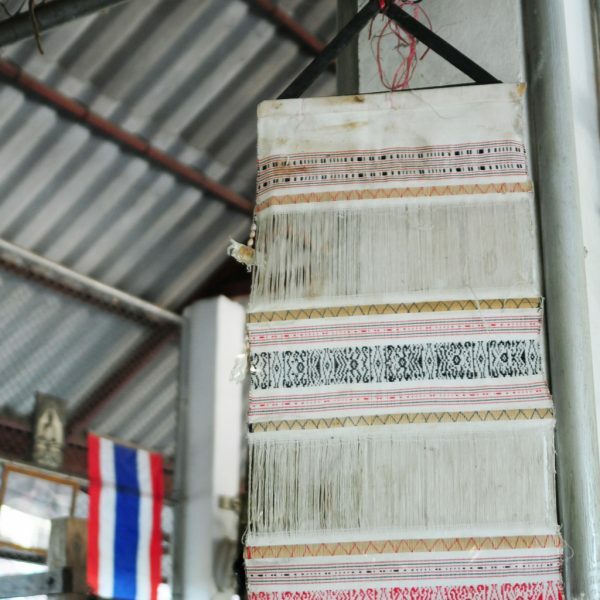 He finds his inspiration in ancient textiles that he finds at villagers’ homes, collecting them in exchange for his own fabrics. Dream currently studies accounting in Nan’s local university. 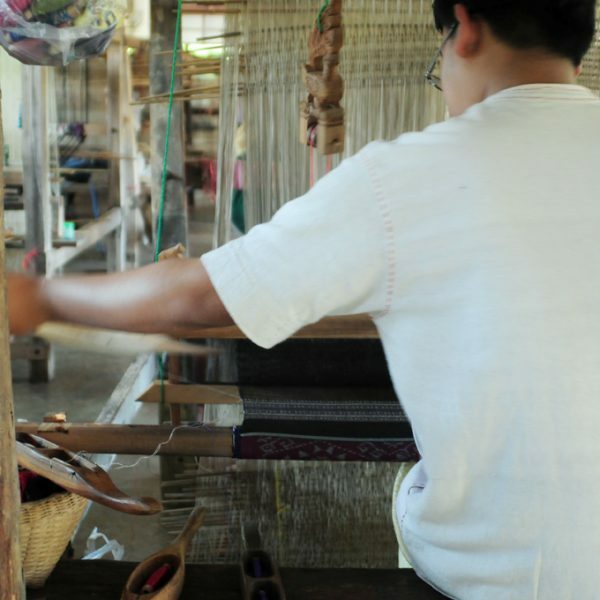 He spends all of his free time at the Ban Sao Luang workshop, every weekend and sometimes after school during the week. 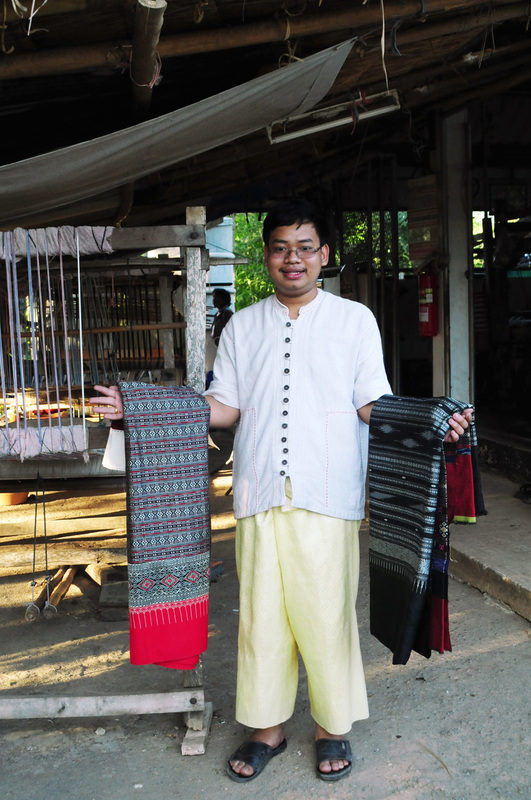 He produces and sells as many textiles, scarves and tube skirts pha sins as he can. 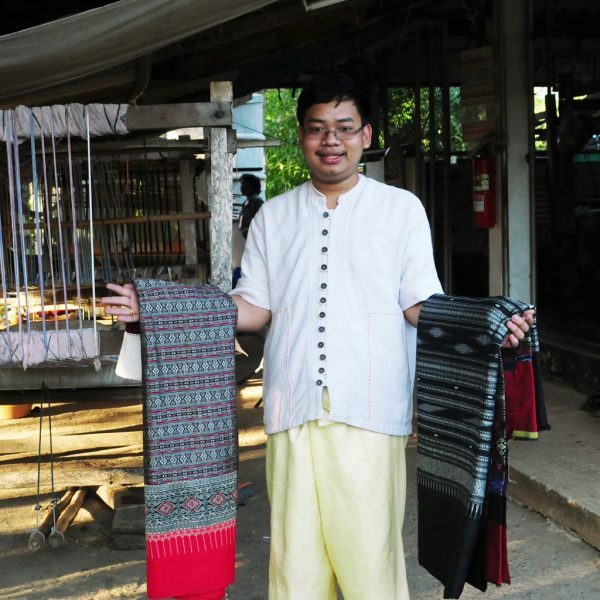 With this money he hopes that he will afford tuitions to attend the Bang Sai Royal Folk Arts and Crafts Center located in Ayutthaya province where he will be able to perfect his weaving practice. Eventually he wishes to come back to his village and open his own atelier. This story has been produced as part of the exhibition project On the Line in a partnership between The Royal College of Art and the British Council.